Jansen+co creates simple and elegant tabletop items that are defined by their bold color combinations and clean silhouettes. Meant to mix and match, the tabletop collection is both eclectic and cohesive, which adds a joyful quality to the pieces. Newly added to the Dwell Store, these Jansen+co products make it easy to create a distinctive kitchen statement. Jansen+co is based in Amsterdam, and was founded in 2006 by Anouk Jansen and Harm Magis. 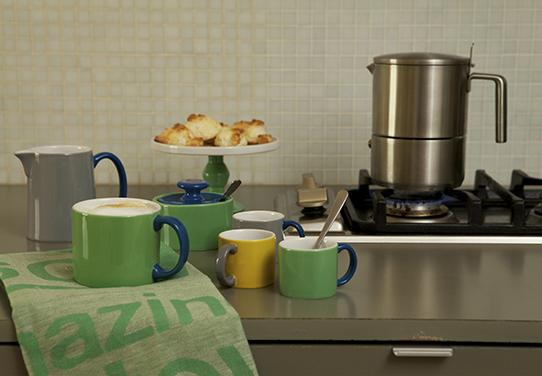 In 2010, the company launched its first ceramic range with its My Mugs assortment. 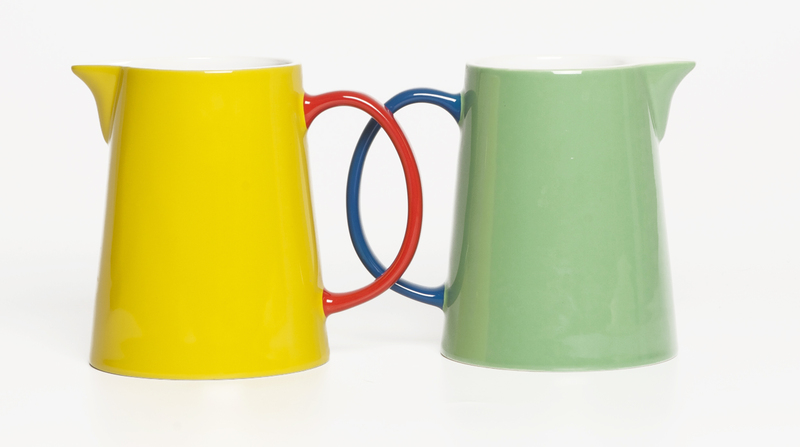 Since then, the company has added many other products to complement the mugs, including saucers, espresso mugs, teapots, plates, and more. Each series of products features both saturated, vivid colors and softer, subtler tones—they can easily blend together to create a series that stands out without being distracting. The Dutch tabletop company has created a balance in its ceramics, finding a harmony between a distinctly modern palette and traditional shapes. Visit the Dwell Store, and create your own lively tabletop collection with Jansen+co.